If you are researching your heritage, check out our amazing worldwide and local links to find the answers you are seeking. Stop in to the library and search more than 2 billion names, images, records, passenger lists, military records, immigration records, and much more. Get access to military records, including the stories, photos, and personal documents of the men and women who served and combine records found on Fold3 with what you have to create an online memorial for someone who served. Provides searchable records for the U.S. Federal Census, PERSI genealogical and local history periodicals, Revolutionary War Pension records, 25,000+ family and local history books, and more. 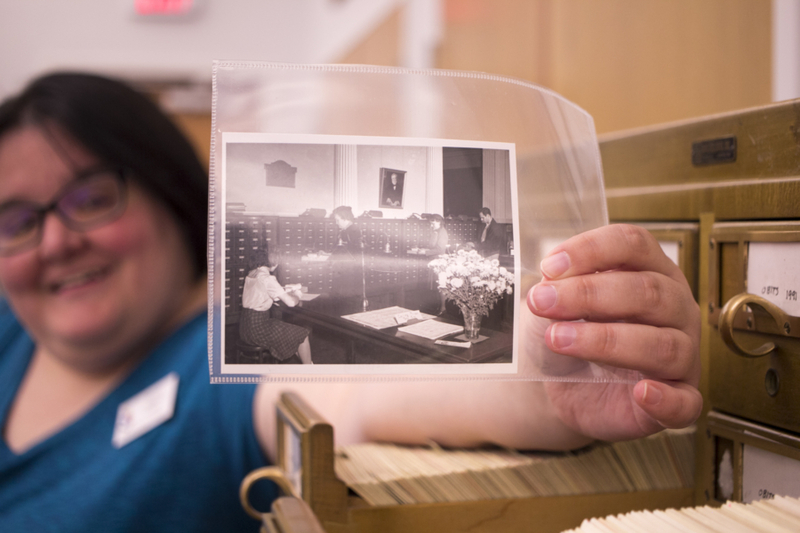 Anyone within the Decatur Public Library can search records, periodicals, family and local history books, and more to learn more to explore heritage. Search birth records from the Herald & Review by father or mother's first or last names. Find local obituaries from 1878 to the present from area newspaper sources. With thousands of searchable items available, it is easier than ever to find old photos of friends and family. Find digital versions of local yearbooks up to 1977. Check out our wide variety of newspaper databases. If you are new to our databases and need a little help getting started, some of our databases have tutorials. Check them out now!